Mother’s tend to carry the memory of their birth near and close to their heart their entire lives. As a result, a birth experience will have a significant impact on the mental and physical well being of the mother, baby, and entire family. Creating an atmosphere where a woman can birth gently while feeling strong, positive, and with the right emotional support will also serve to strengthen the future relationship of a mother and child. At Humble Birth Doula Services, we strive to foster the most ideal birth for mom and baby. 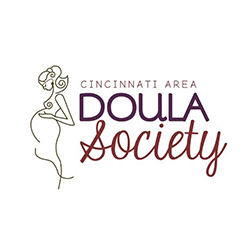 A Doula is a woman who specializes in emotional, physical and educational support for women in their childbearing years. Whether you are pregnant, or about to give birth, the right doula understands your needs (emotional,physical, and informational) and is able to support you based on those needs. 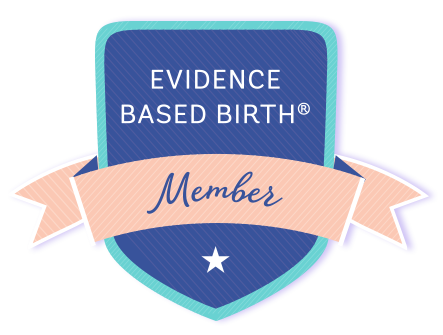 Hundreds of thousands of American women have discovered that the presence of a supportive and non judgmental doula can create one of the most satisfying birth experiences they could experience. How do I find the right Labor Doula? At Humble Birth, Katelyn and her back up Support will strive to meet the needs of both the mom and partner as they welcome their little one into the world. It is important to do the research and find the right match with your doula. We are here to answer any questions you may have and would love to set up a time to meet to get to know one another. Whether you are planning a homebirth, or hospital birth, we are here to offer the most exceptional care for you and your family. What will my partners role be if we hire a doula? Does a doula replace them? A doula does not replace your partner. In fact, a doula will only enhance your partners role and facilitate an open and clear form of communication and support. Often times, the partner may not know how to best help you and that is where the doula steps in to offer guidance and information in regards to the mothers needs. The doula is also there to offer rest for the partner if he needs to take a break from helping you, she will step in. What if I have to have a C-Section? Is my doula still able to help me? Absolutely! Just as if you were to get an epidural, your doula is there to support you in any way she can. The only thing that will change is her approach. Mentioned in the Humble Birth Doula Services Contract, is that in the event you will need a C section, we will offer you an additional postpartum visit and any extra time you may need after baby is born. This includes help with breastfeeding, and any baby care questions you may have. 🔅 Doula’s cannot perform clinical tasks, such as blood pressure, fetal heart checks, and vaginal exams. We are there to support you physically, emotionally, and informationally. 🔅 We do not make decisions for you. We will help you get the information you need to make informed decisions. 🔅 We do not speak to staff instead of you regarding matters where decisions are being made. We can discuss your concerns and options, but it is up to you and your partner to speak to the clinical staff. 🔅 We cannot prescribe, diagnose, or treat any thing medically. We will refer you to your doctor or Midwife. 🔅 We do not provide childcare before, during, or after your birth. We can refer you to someone who can if you are interested in a list of trusted options. If you think we would be a perfect match please contact us to set up a no obligation interview where we can get to know one another! During the visit we will discuss the services we offer and answer any questions you may have. We will also go over our fee. On a case by case basis, Humble Birth reserves the right to lower the fee or do pro bono when it would deem necessary for the family to receive the care if they otherwise could not afford it. This policy is at the discretion of Katelyn Estes.